On Hauptwerk forum: Wich Cavaille-Coll to buy? 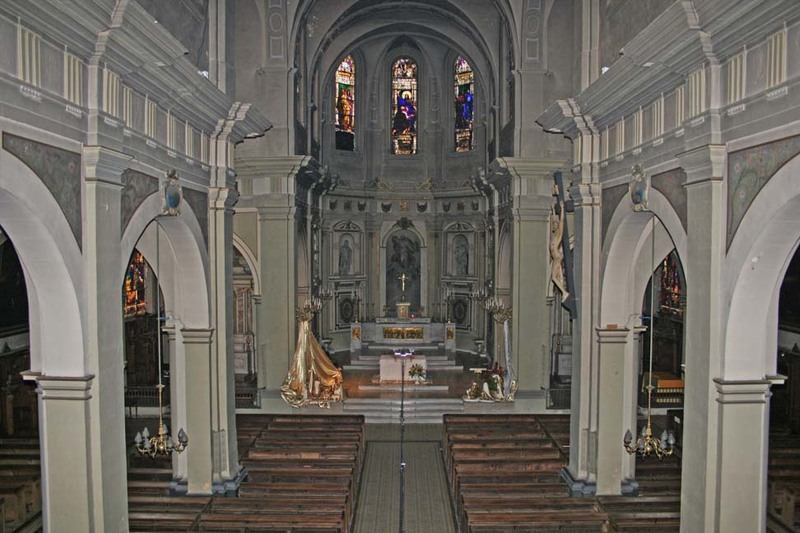 On Hauptwerk forum: CAVAILLE-COLL DE METZ. SUPERB. In the Preludium as supplement to the 'plenum'. In the Allegretto in combination with the Clairon4 as 'solo stop'. In the Andante as 'solo stop'. The Vox Humana is separately recorded with Tremulant, the results are great (listen to middle C, which is beautifully realistic 'false'). This sampleset has an abundance of beautiful reeds. I know, I'm being a whiner, but I regret that the organ has no rasping Cromorne. I think the Principals not as strong (as in many other French organs). The Montre8 has however a very nice 'stereo balance': you can notice the notes (with a scale) from left to right. I prefer the FluteTravers of the Recit over the FluteHarmonique of the G.O.. In the pedal you hear that the Contrebasse16 (just like in real life) 'comes slow to tone' (you can easily hear the effect at low C). It's also nice just to listen to the reverberation of the Contrebombarde32, if you release the lower C button, it still remains seconds 'rattle away'. By default, the sampleset comes with an extension of 10 stops (not present on the real organ, but derived from other stops). The (typical for French organs) foot pistons (with combination couplers) function as the real organ. The original tuning is 'A=435 Equal', with Hauptwerk you can use the more standard 'A=440'. 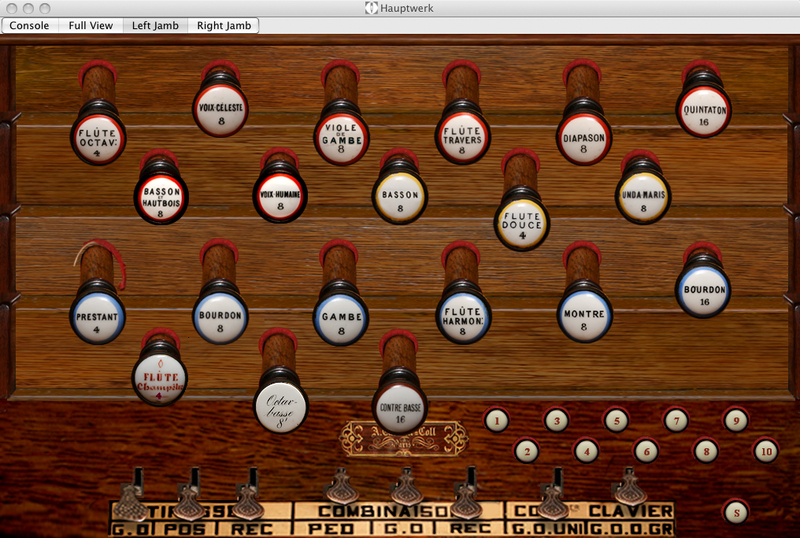 I use, because of realism, all samplesets in 'Original Organ tuning'. There are sound samples for pressing and releasing a key. The organ wind engine sounds in the background. You hear the sound of pushing and pulling stop buttons. The sound of the swell pedal is included. Even the Sonnette du souffleur (the button is only on the console tab) is present. The 4 tabs (console, full view, left, right) look very nice. The names of the stops are clear to read. The extension of 10 additional registers is only available on the full view tab. This is an unfortunate choice, virtually nobody will therefore use the Left/Right pages. 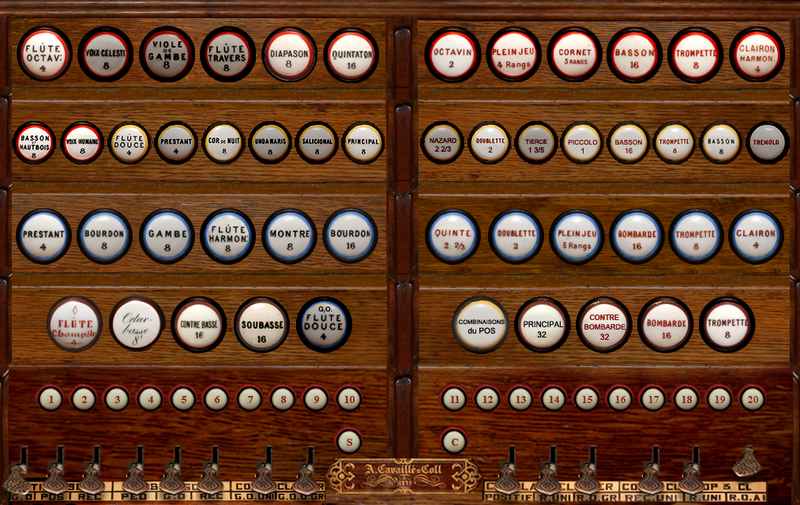 Very useful are the 20 buttons (on full view) to store registrations. It is a pity that they are not standard pre-defined. The buttons are for a touch screen a bit small. 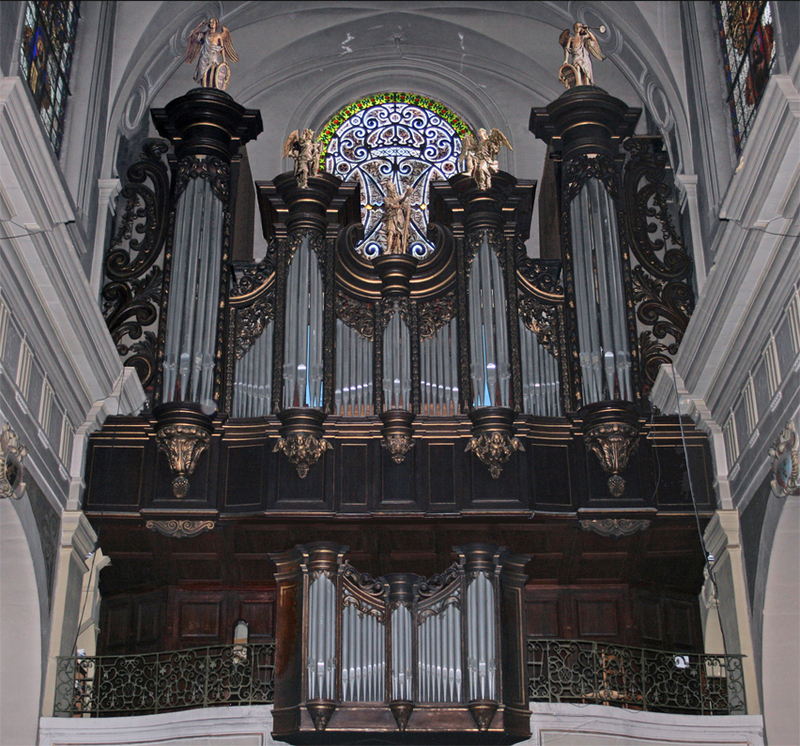 In the beginning, this magnificent organ is not easy to use, but do not give up too soon. 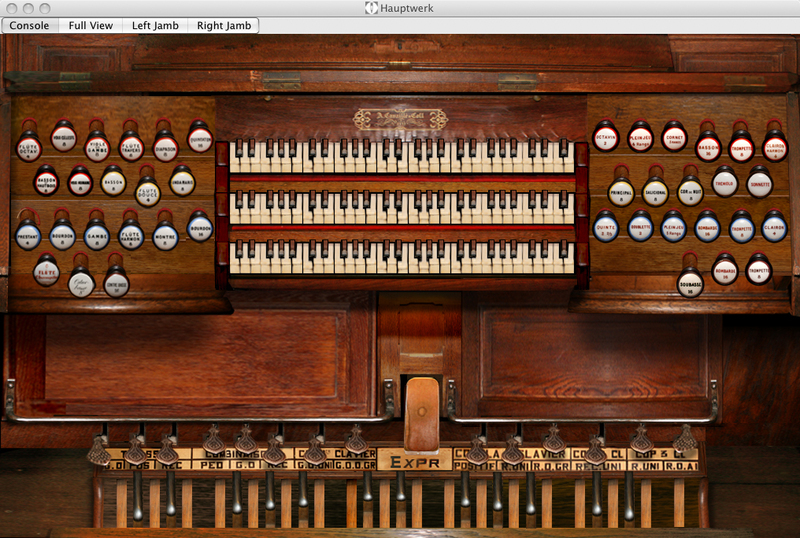 It opens the only sound from the organ as you've pressed the right pistons. Fortunately there is a nice user guide which explains the function of the foot pistons. If you press button 4, 5, 6, 7 and 13 (+ button Combinations du Pos), you can use all registers. In menu 'Organ / Organ information' is information in 4 (!) languages. Just a pity that so few pictures on it. You can load the Extended version in 3.2 GB (16 bit, 48kHz, Single Loops, Lossless Compression), so 4GB RAM is sufficient. It is a great sampleset to create warm and powerful music. I will continue to use this sampleset. You can load the in Hauptwerk via menu 'Combinations\Load combinations file...'. 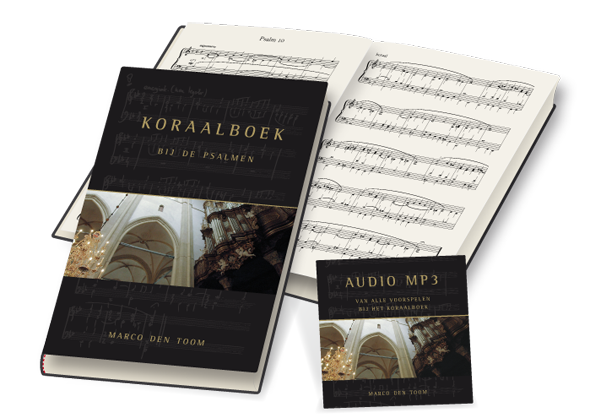 A lot other examples from this book can you listen at: Marco den Toom.